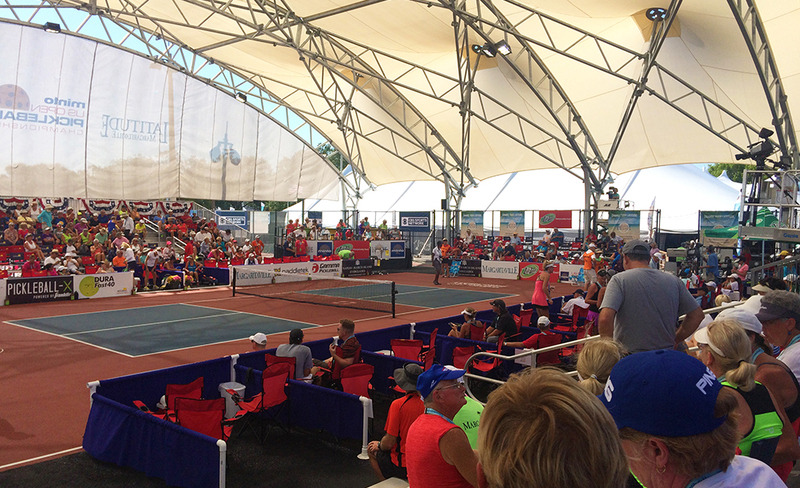 This year Christ Church Sport staff member David Wood had the opportunity to play in the US Open Pickleball Championships in Naples, Florida, USA. With over 1,300 competitors from 17 countries around the world. The players descended on Naples Community Park where 48 outdoor Pickleball courts were used across 7 days with over 500 games played each day. The youngest competitor was 12 and the oldest was 90. Pickleball combines elements of Badminton, Tennis and Table Tennis. It was invented during the 1960’s in Washington, USA, by Joel Pritchard, former Lieutenant Governor of Washington. After failing to find a shuttlecock for a game of badminton, Pritchard improvised some paddles, lowered the badminton net and used a plastic ball, creating the sport of Pickleball. Played both indoors or outdoors on a badminton-sized court, the game is usually very easy for novices to learn, but it can progress quickly into a fast-paced sport – drawing in more skilled players. The Pickleball paddle is twice the size of a Table Tennis bat, but has a very similar look and feel. The ball is a made of a very hard plastic, the same size as a Tennis ball and permeated with holes. The game can be played as doubles or singles and is especially good for people with limited mobility opening it up to people of all ages. David played with his 17 year old son in the Men’s doubles during the Championships. They had some very close games against some of the best players in the world and are very much looking forward to playing again next year, especially since both David and his son received sponsorship from Paddletek – the biggest Pickleball Company in the world. 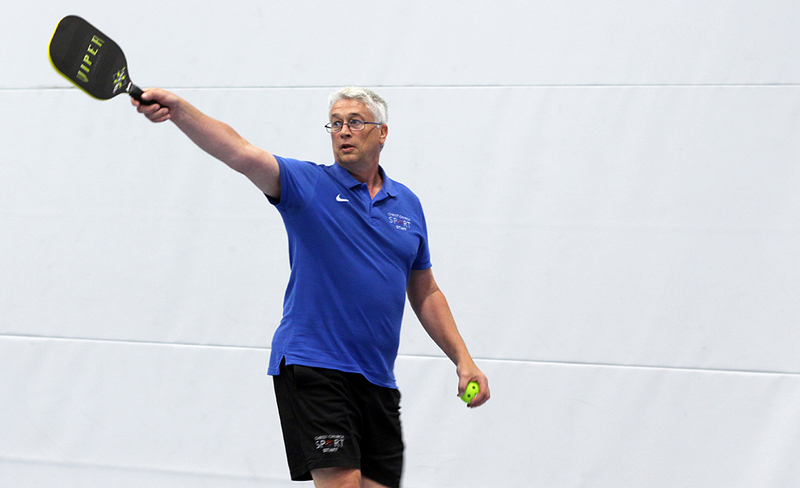 David is also sponsored as the UK Pickleball Ambassador, aiming to endorse Pickleball throughout the UK. The finals will be shown on CBS Sports Network on May 26th. The biggest Pickleball tournament in the world outside of the US takes place in the Medway Park Sports Centre, Gillingham from May 26th – May 28th 2017.